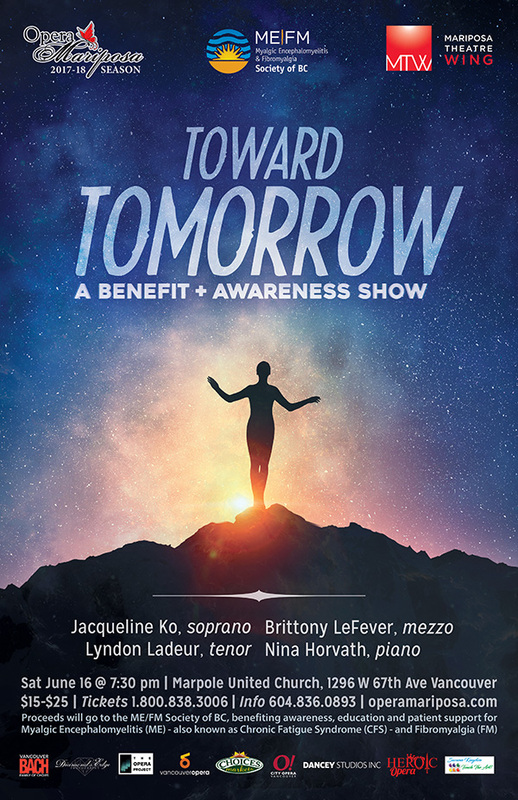 Opera Mariposa and the Mariposa Theatre Wing present an evening of beautiful music for a great cause! In the gala benefit concert Toward Tomorrow, award-winning singers Jacqueline Ko, Brittony LeFever and Lyndon Ladeur and pianist Nina Horvath perform opera, Broadway and more in support of the ME/FM Society of BC. Join this all-star cast for hit songs from The Magic Flute, West Side Story, Hamilton, Dear Evan Hansen and more. The evening also includes a dessert buffet, plus a charity raffle contest with over $2,000 in prizes.